One of the main focus areas of the PIONIER: Polish Optical Internet program was the development and verification of pilot services and applications for the information society. It was necessary to create a base for new developments in science, education, health care, natural environment, government and local administration, industry and services. Examples of such services are digital libraries, allowing to create multiple content and metadata repositories which can be used as a basis for the creation of sophisticated content-based services. 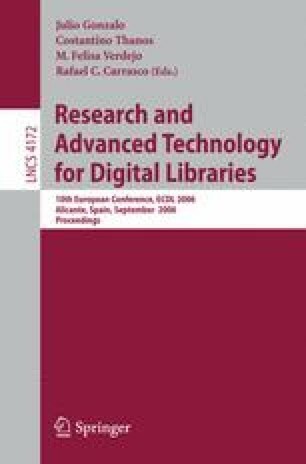 In this paper we are presenting the current state of digital library services in the PIONIER network, we shortly describe dLibra – a digital library framework which is the software platform for the majority of PIONIER digital libraries. We also introduce two content-based services enabled on PIONIER digital libraries: distributed metadata harvesting and searching and virtual dynamic collections.